Recently, fresh produce online shop Pin Hao Huo and the social online shop Pin Duo Duo announced that they will merge. The former CEO of Pin Hao Huo, Mr. Huang Feng, will take up the position of chairman and CEO of the joint enterprise. 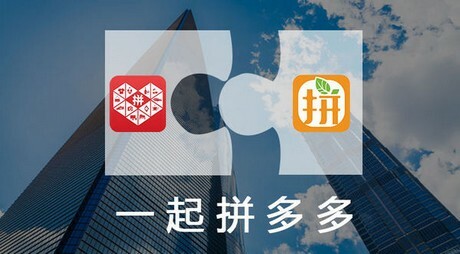 But after the merger, both brands of Pin Hao Yun and Pin Duo Duo, their apps and wechat shopping centres, will all remain and function independently. The merger mainly entails an exchange of user resources, promotional marketing and end-user data. Pin Duo Duo will also offer the the fresh produce channel of Pin Hao Huo in its shopping centre. The human resources will be completely joined together. In December 2015, Pin Hao Yun announced that it had completed the series B financing from Banyan Capital and IDG. The estimated value was around 500 million USD. In July 2016, Pin Duo Duo announced that it had completed its series B financing, coming from Banyan Capital, New Horizon Capital, Tencent and others. The total investment cost was 110 million USD. After the merger between the two companies, the former shareholders of Pin Duo Duo and Pin Hao Yun will remain as shareholders of the new company in the same proportion as their investment. For Pin Hao Yun, this merger brings an even more abundant catalogue of products. For Pin Duo Duo, it will gain professional, fresh produce products and the innovative express delivery supply chain system. It also allows the fresh produce products that were formerly offered by Pin Duo Duo to rise in quality.